A Compact Disc of my compositions! 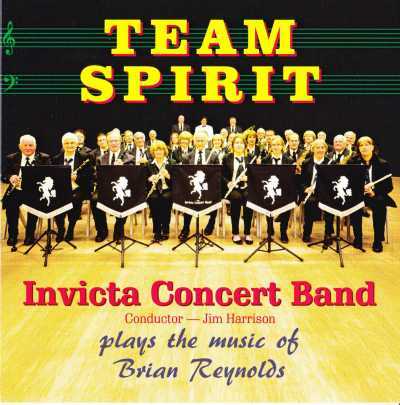 Formed in 1983, The Invicta Concert Band comprises three kinds of instruments - woodwind (piccolos, flutes, oboes, clarinets and saxophones), brass (trumpets, French horns, trombones, euphoniums and tubas), and percussion (drums, tympani, cymbals,tubular bells, xylophone rtc.). It has the same formation as a military band. 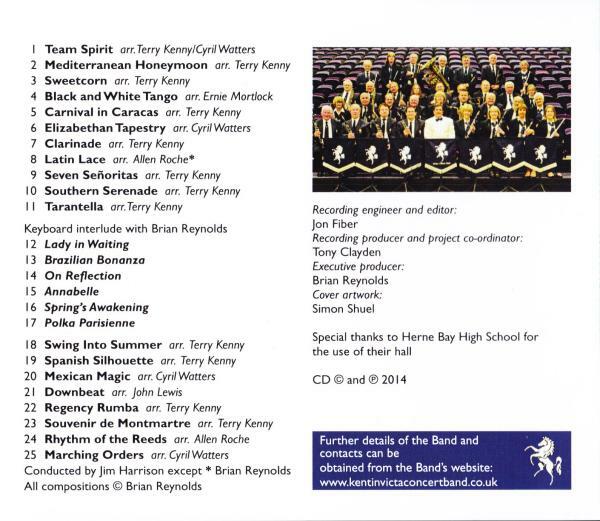 The Band is based in Herne Bay (Kent) and consists of a mixture of local amateur players and some seasoned professionals, a lot of whom have backgrounds in either military services or the teaching profession. The traditional activity of the Band is in servicing the coastal bandstands of Kent during the summer season. The Band do however play further afield and have played the famous bandstand at Eastbourne and, in recent years, has been invited to perform during the summer in the grounds of Westminster Abbey during their annual "Bands on the Lawn" event, coupled with various private engagements, festival events and commissions.